Happy Valley is back - will you be watching? Gripping drama Happy Valley returns to our screens on Tuesday night - and we want your thoughts ahead of its second series. We want to know your views on the series ahead of the first episode of the second series and your thoughts on the show after the series gets back underway. 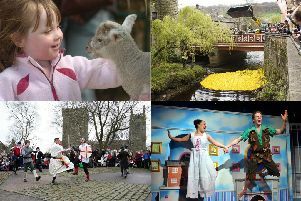 Leave your comments on why you love the show, how excited you are that it’s back on our screens and the impact you think it’s had on Calderdale on this page or visit our Facebook page and comment there.